New Zealand Prime Minister John Key and Australian Prime Minister Julia Gillard have reaffirmed their commitment to improving education in the Pacific by extending funding for language and literacy education across the region. Australia and New Zealand are aiming to ensure 500,000 more children in the Pacific are enrolled in school and 75 per cent of all children in the region can read by age 10 by 2021. Almost one million school-aged children in the Pacific currently do not attend school. New Zealand will provide NZ$145 million and Australia will provide AU$124.5 million in addition to existing funding over the next four years. 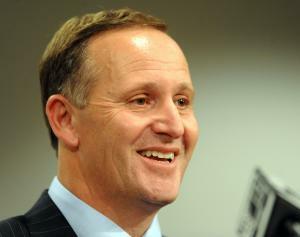 New Zealand will also invest NZ$122 million for scholarships and training over the same period. Mr Key says the theme of this year's Forum is converting the Pacific's potential into lasting prosperity, and ensuring young people in the region have access to quality primary school education is vital to achieving this. New Zealand and Australia are committed to working with Pacific governments to address barriers to education, and make sure children are able to complete a minimum of six years of basic education. Ms Gillard says Australia and New Zealand have agreed to focus on improving literacy and numeracy, better benchmarking of education systems and enhancing education management information systems to improve schooling for children across the Pacific. Under the Cairns Compact for Development, New Zealand and Australia cooperate closely on aid and development in the Pacific and will align their efforts in education to ensure positive outcomes for Pacific youth. The two leaders also announced Australia and New Zealand will provide six postgraduate scholarships to commemorate the 40th anniversary of the Forum. Each country will provide three scholarships. The scholarships will be in areas aligned with the Pacific Plan, including economic growth, sustainable development, good governance, and security. The Pacific Plan identifies these areas as major challenges that the region needs to address to achieve better living standards, increase opportunity and stimulate economic growth across the Pacific. New Zealand and Australia are committed to working with Pacific island countries and partners including the World Bank, United Nations agencies and non-government organisations to improve education across the Pacific.